Hard Water School (Ice Fishing Class) at Mitchell State Park, 6087 E. M-115, Cadillac, MI 49601; (231) 779-1321. Learn to ice fish from the pros. This class will cover everything from how to set up equipment and how and where to fish to ice safety and rules and regulations. 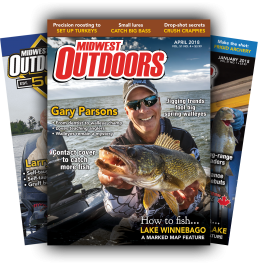 The main focus will be techniques for panfish, walleye and pike. After dark we will meet back at the Carl T. Johnson Hunting and Fishing Center to go over the day’s catch and review what everyone learned, then head to dinner. You will be responsible for paying for your own dinner. Sunday is available as an optional fishing day – if you are interested in fishing on Sunday, please let us know. A warming hut, augers and some shanties (available on a first-come, first-served basis) will be provided, but we encourage you to bring your own equipment if possible. We also encourage the whole family to come. Cost is $30, which includes lunch. For more information, contact Edward Shaw at 231-779-1321 or shawe@michigan.gov, or michigan.gov/outdoorskills.